Our pottery studio started in Bandung, a city about 150 km southeast of Jakarta around 12 years ago. The three of us had just graduated from college and thought to ourselves, Bandung would be an ideal place to start a pottery studio. After all, it was only about three hours away from Jakarta, Indonesia’s capital and business centre, is home to the main arts and design schools in the country and also where a ceramic artisan area historically resides, albeit a waning one. Now we just needed to make pots. Bandung in 2005 was a different place. This was pre-broadband internet and way before making objects was considered a lifestyle. There was no design Instagram nor Pinterest as references, no smartphones and all the subsequent access to communities and helpful apps, and no ali baba. Persuading and maintaining relationships with moody suppliers was truly a necessity. Our educational background provided us with the know-how to explore ideas, interpret references, and for better or for worse, to make sense of what we are making. What it did not provide us with, is a thorough knowledge in actually materialising our ideas. At the studio, one of us, that was quite handy with her hands, provided us with the basic knowledge of how to knead clay, techniques to shape our clay with, glaze formulas and basic operation of the kiln. The few connections we got from college were able to provide us with enough supplies to get by. So we started off with one kiln, one throwing wheel, and one artisan we hired that does it all: knead, shape, glaze, and fire. We sourced the raw material from a number of suppliers. Our stoneware clay was bought from a guy who supplied the ceramic art college in those days. The stoneware was grey, coarse, and had a lot of impurities, while our vision was to make clean, white ceramic based designs glazed with bright colours. So our search for whiter and cleaner stoneware began, which meant going through all the vendors we managed to find and test their clay to see if it would fit us. The cycle was to buy several sacks of stoneware clay to experiment with. If we find that they were a good batch, it would be after several weeks of experimenting, which would mean that supply of the same clay had dried out. Or even worse, several weeks into production, we found out that the sacks did not even have the same contents. After going through several types of clay, we met with one specific tableware manufacturer that was willing to sell us their trimming waste. This went on for a while until we finally managed to build a relationship with a vendor who was willing to develop a specific type of new clay for us, which, although having its own teething problem, is still amazing. This stability meant a lot for our progress, as changing the clay also means changing everything, from glaze compatibility to shrinkage rate, which obviously was time-consuming and costly. We also faced this problem of instability with our glazes. One of our main problems was, we did not have the buying power to secure the raw materials to achieve the same surface quality of the glaze we wanted over an extended period of time. It was the same as the clay: after weeks of experimenting to find the right material, we would find out that it was already out of stock. After a while, we finally found out that apparently, most (if not all) the ceramic raw material that was available to us at that time was, in fact, unwanted crumbs from the enormous tableware manufacturing companies. Along with our clay problem, we also finally succeeded in building a relationship with a glaze supplier which was willing to sell their reliable supplies in small quantities. 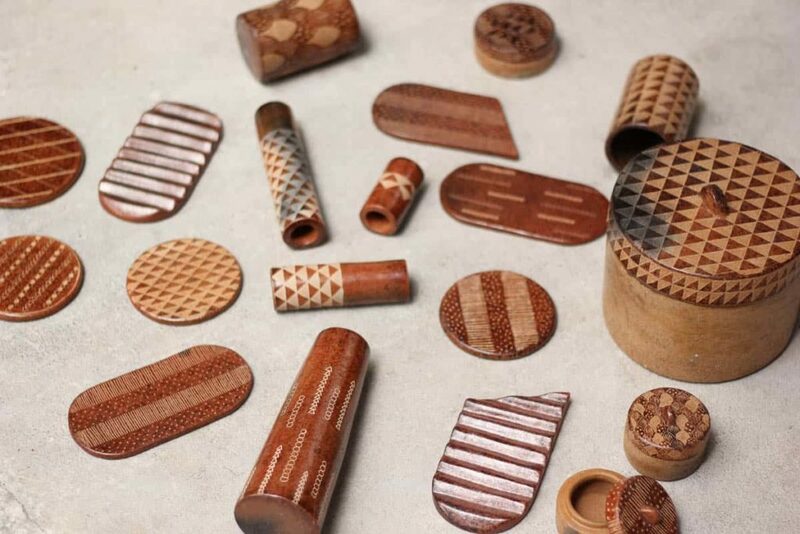 In terms of shaping, and the related processes, we heavily relied on artisans in producing our ideas, while we made designs and complained why the designs didn’t work out as well as it did in our sketchbooks. Our artisans helped us with the throwing, the model making, mould making and also the slip casting. Seeing our designs materialise was indeed a great feeling, although little did we know, that the basics from college only provided us with only the skeletal understanding of what steps to take during the making processes and what the outcomes should be. Anything in between was a huge unknown territory, one that we have not learned its language yet. After many trials and errors, later did we find out, that apparently the way to learn the language was through working with our hands, and obviously, using someone else’s hands just did not do. 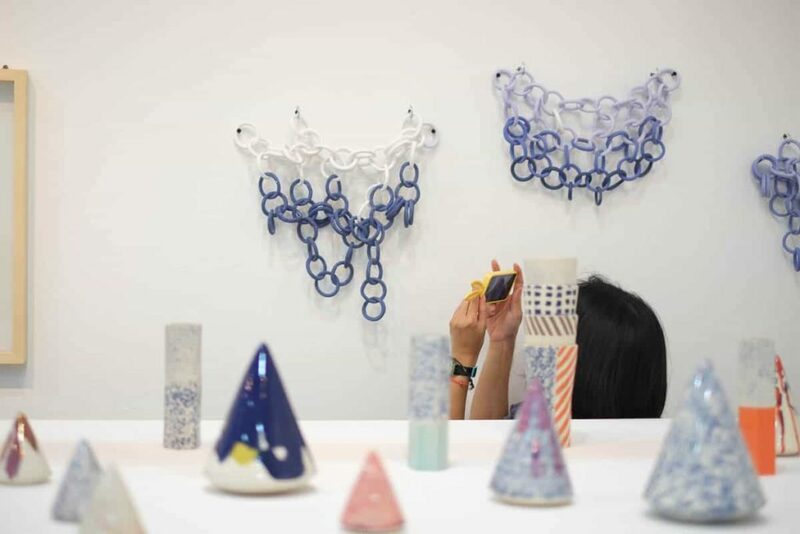 Only after we got our hands dirty, focused in the making process and received feedback from the design making process with our eyes and our hands, did we start to learn this language of ceramics. I still can not speak much for throwing as, personally, this still is unknown territory for me. Model making, mould making and slip casting were the making processes that caught my attention. After all, academically, I was trained as an industrial designer. 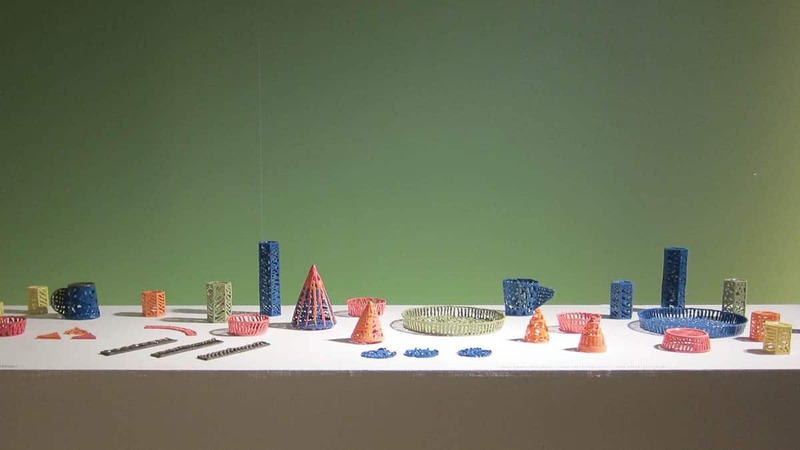 In 2010, (late as I was) during my MA, I discovered the lathe, the plaster, and Queensberry Hunt’s Volumetric Calculations for Designers and Craftspeople. It suddenly became clear to me what I was missing: the medium, the tools and method of model making that can be precise if I needed them to be, can stand still and not deform when I’m thinking, but still can deliver the same feedback of weight and scale through my hands and my eyes. Working with plaster (and David Queensberry’s book) was a revelation to me. If I was making a teapot, I could measure the volumes and translate them into length, height and diameter, make the teapot body precisely on the lathe with all the footings, lids and all the fine edges, and carve out from plaster the handle and spouts that do not drip. After the model making part is done, I would devise rigid plastic sheets, some clay, a bit of yarn, a bucket and some plaster, and make myself a negative mould with the least assembling needed. In this digital age, manual hands on skills are becoming harder to find. This model making and casting method, of course, is very old. It very likely will eventually be phased out, whether it is intentional, by way of the discovery of improved more efficient and most likely, proprietary methods (3d printing anyone?) or, unintentional, by the lack of regeneration of model-makers and mould makers, or, a little bit of both. We, as designers, makers and crafters who live and work in today’s digital age, have more information at our fingertips than any other makers in history. It is up to us how to make use of all the knowledge of what is where and who has what and what to do with them. Although that may be, we still need to focus and iterate in order to obtain any good results. Respecting the process and receiving feedback from it is still the stuff that glues all the useful knowledge together. Lessons learned, finding what’s right for you is critical, and sharing them with your team, is ever important. Making is also about finding what’s available to you and making the most out of it. Building and maintaining relationships is always a good idea, and being resilient is key to survive, which only then we will thrive. My mentor once jokingly told me that potters are the second oldest profession in the world. Imagine the accumulation of knowledge this profession contains, and imagine mastering them all by yourself. For me, personally I’d rather build relationships, work together with my friends and accomplish mutual goals together. Making as a living is a way of life, one that is not always easy but for us lot, it is certainly very rewarding. 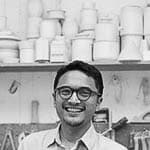 Fauzy Prasetya Is chief designer at Kandura Studio, an Indonesian ceramics design and making studio which he co-founded in 2005. 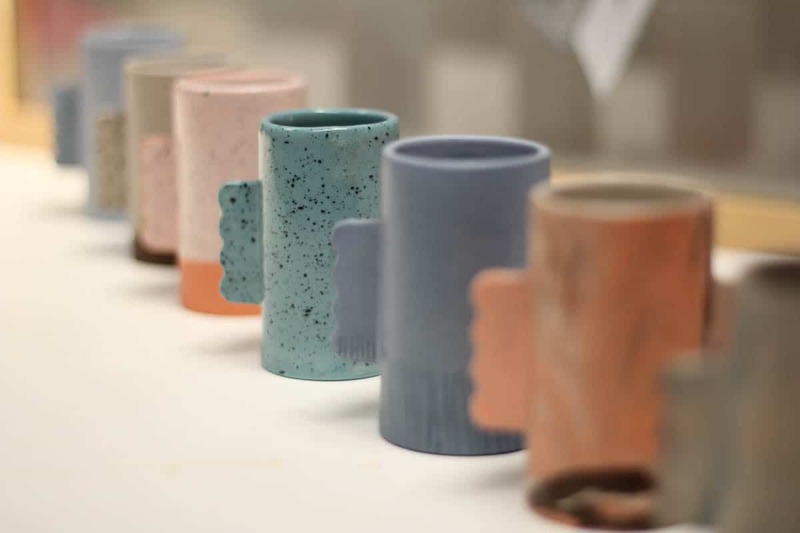 He tried to veer away from his industrial design background by learning to be a potter but later found out the making process was too unpredictable for him. 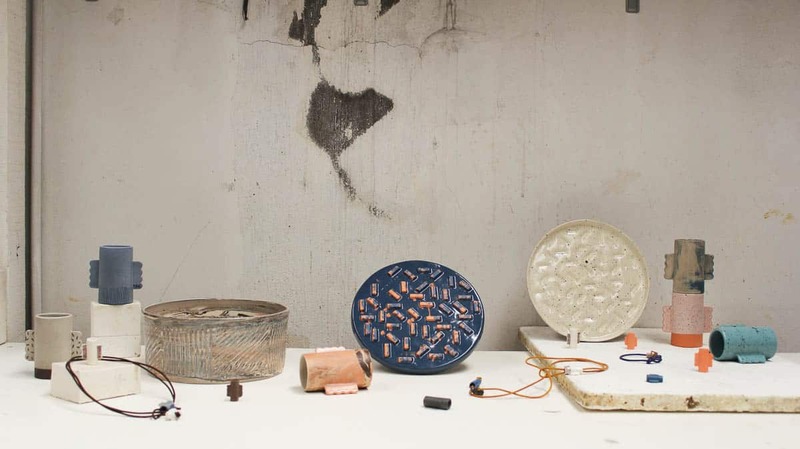 After remedying his ceramics related expectations with an MA from Central Saint Martins, he now uses elements from design, crafts and the ceramics language to inform his process of thinking and making.